Well who'd have thought The Stig would have come from Bristol, and live just up the road? But it's true. Ben Collins was named yesterday as the Stig when the High Court failed to uphold the BBC's injunction preventing him publishing his autobiography. 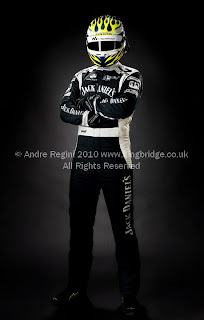 Ben is an experienced driver of Formula 3, British GT and Le Mans series. He approached me last year to do a shoot prior to his new racing season in Australia 's V8 Supercars for the Jack Daniel's team. It's been a pretty open secret for some time that he was The Stig. Any quick trawl of the net brought his name up, but of course, out of respect to the man, no mention was ever made of any of that during the shoot. 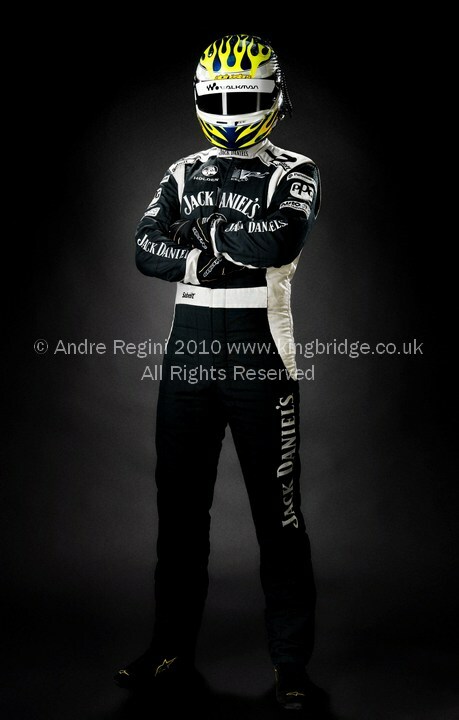 A calm quiet person face to face, like many racing drivers, he was great to work with and fantastic subject matter. The shot I chose to do with him was black on black using the fabulous range of the Hasselblad H3D. Still, it's never an easy one, and invariably time consuming getting the lighting spot on. But all credit to Ben, the man was super patient and cooperative, and I think the results show that. As an avid watcher of Top Gear, am I upset that he's been ummasked as The Stig? Not at all, and for several reasons. Clearly Top Gear use more than one driver as the The Stig, as well as having cameos. Remember Fat Stig, Schumacher Stig, African Stig? Clearly different drivers, but you can also see from show footage, the occasional different builds and heights of the drivers. Yet they not only play a make believe scenario that he is one man, but also use him as a huge branded marketing revenue stream. The driver is the talent not the brand, and I am glad Ben can now be recognised for that. Credit where it's due please, and I wish Ben well with the book, which of course is on my Christmas list.